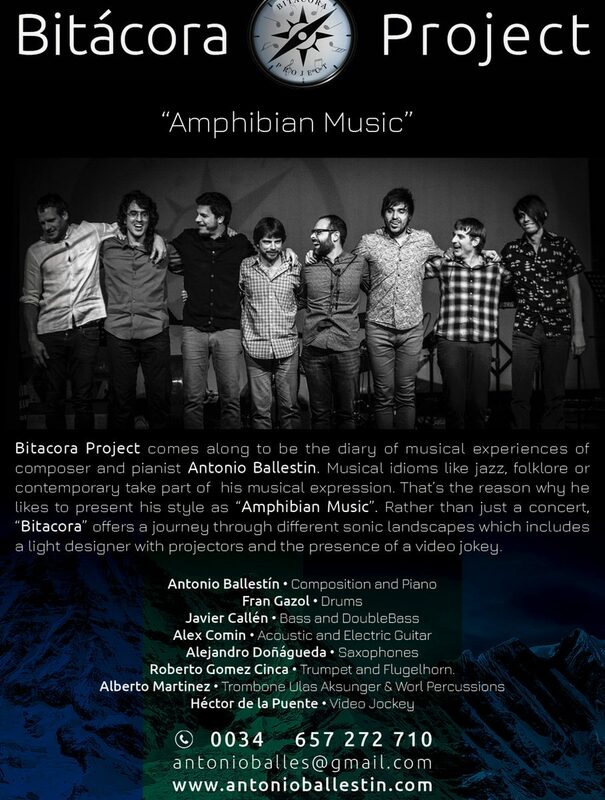 Bitacora comes to be Antonio Ballestín’ diary of musical experiences. In the project converges different musical languages like jazz, folk and contemporary music. That’s the reason they like to call it ‘amphibious music’. The band was based in 2003, playing in different festivals and series, standing out their presence in the 2010 Zaragoza Jazz Festival. 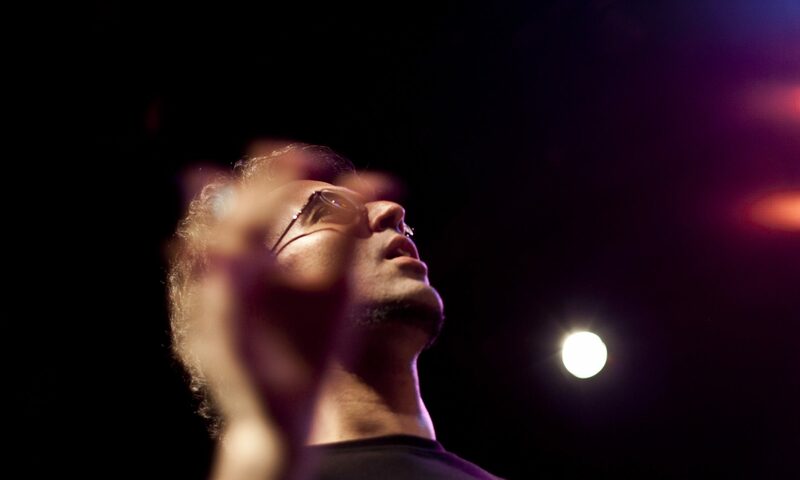 Antonio Ballestín (Piano, Keys and Composition). April 19, 2015, during the “V Jornadas de Cello” in Huesca, Antonio Ballestín is commissioned to write an arrangement of the famous theme by Alaska y Dinarama titled “Ni tú ni nadie (Mil Campanas”, to be played by an orchestra of about 40 Cellos at all levels. In April 2015, finally goes on sale “Highway Soundscapes” by Antonio Ballestín,a piece for percussion ensemble award at the contest Composition / Percussion Italy Pas 2012. The edition is provided by HoneyRock Editions (USA), with illustration Javier Aparicio Frago cover and foreword by César Peris. 13th April 2014, during the “IV Jornadas de Violonchelo” in Huesca, an arrangement of the hit “The Final Countdown” by Europe was commissioned to Antonio Ballestín,. 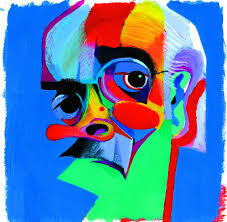 The piece will be performed by an orchestra consisting of cellos exclusively, of different levels.